Whether you’re young or old, you probably have ice cream on your minds. 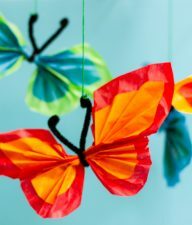 The warm weather is also perfect for indulging in some ice cream crafts. 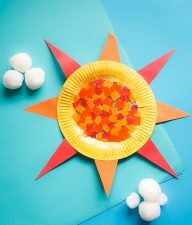 We showed you how to make some faux ice cream sundae play food. 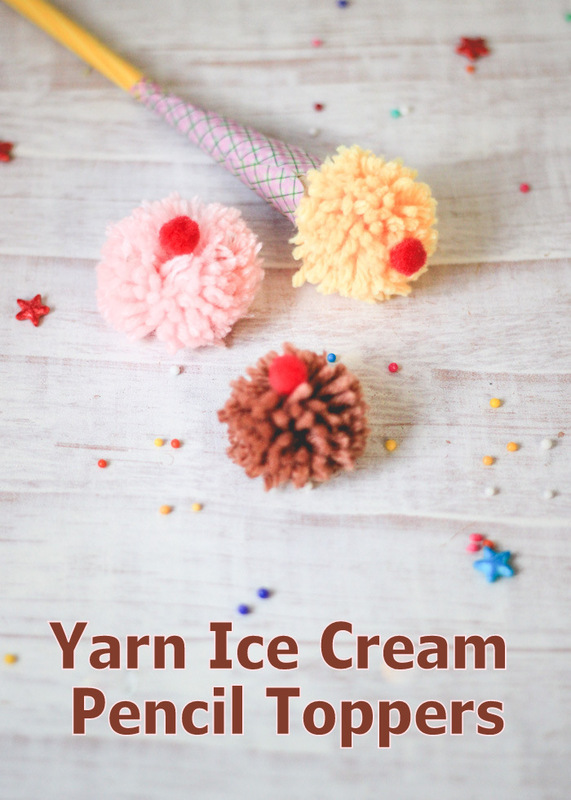 Here’s a cute tutorial for making some Yarn Pom-Pom Ice Cream Pencil Toppers for kids so that you and your kiddos can start the school year crafting right! 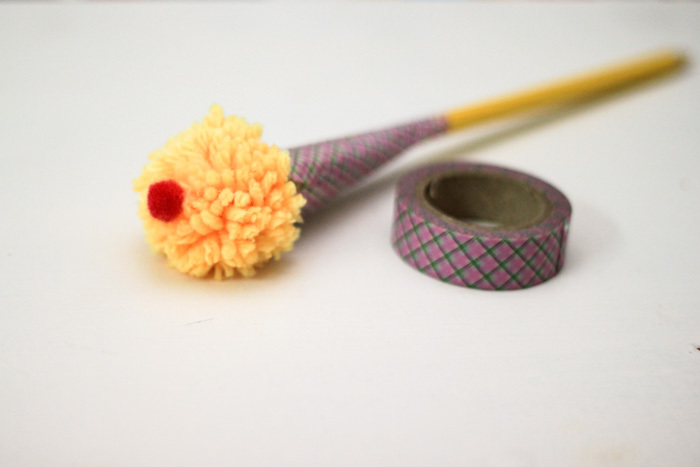 Create pom-pom balls as shown in this pom-pom flower craft. 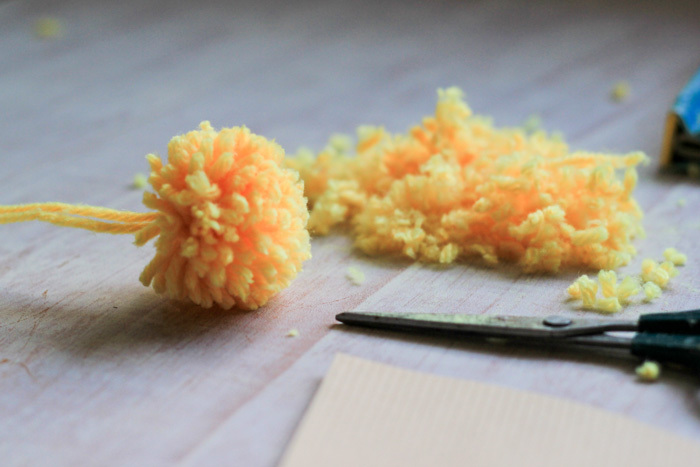 We used 4 ply wool in yellow and created pom poms that were about 3 inches wide. 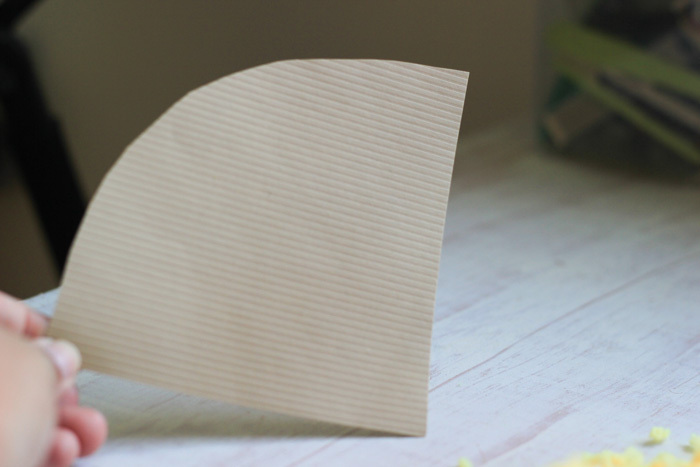 Cut out a 5-inch pie-shaped piece from the brown cardstock. We started with a 5-inch radius circle and then cut out 3 pie shaped equal sized pieces from it. 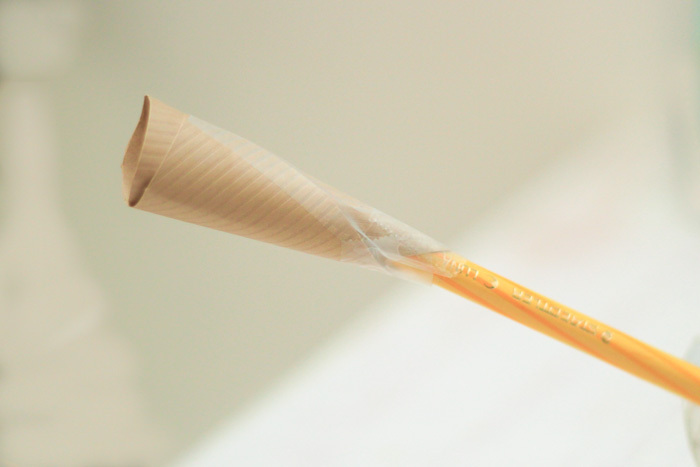 Roll the paper into a cone shape around the rubber end of the pencil and then secure it with a transparent tape or a glue gun. 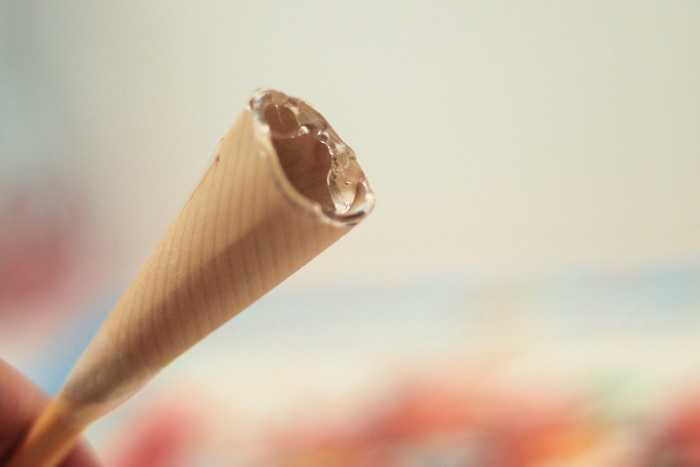 Using a glue gun, line the open end of the cone as shown below. 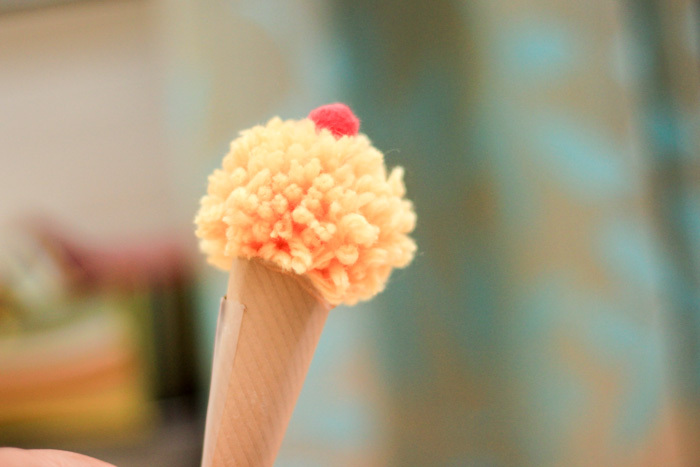 Carefully secure the pom-pom on the top of the cone. Hold in place for a few minutes till the pom-pom is fixed. 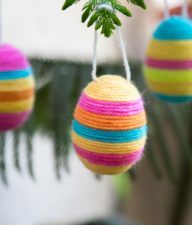 Using a glue gun, fix a small red pom=pom ( cherry) on the top of the cone. 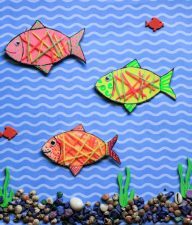 We covered the brown paper with a washi tape that had a checkered print. This covered up the sections where the transparent tape was visible. You could alternately use duct tape too. The double benefit is that it makes the Ice Cream cone stronger. 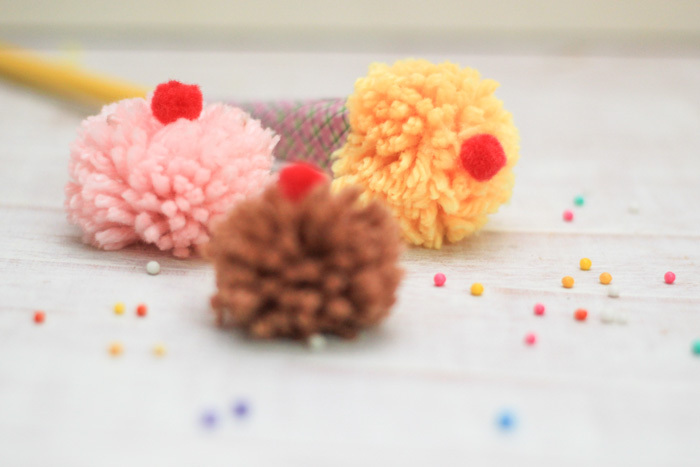 Make more pom-poms in different colors – We made Strawberry, Mango & Chocolate as they are my daughter’s favorites. 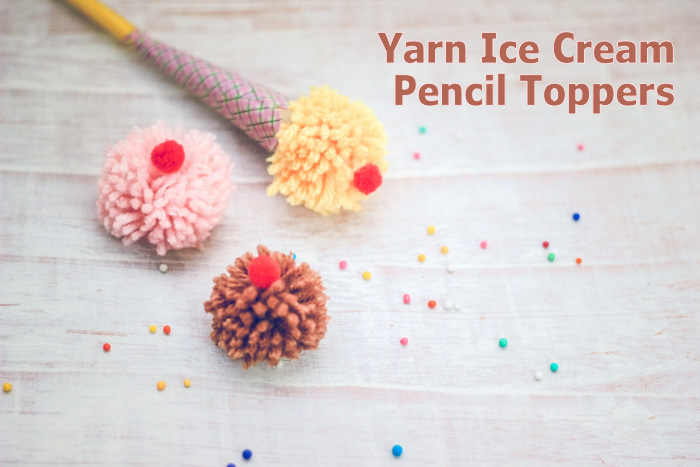 This easy Ice Cream pencil topper is the perfect kid craft for Ice Cream Day, hot Summers and as back to school accessories – kiddos will love making them and have even more fun gifting them to friends.